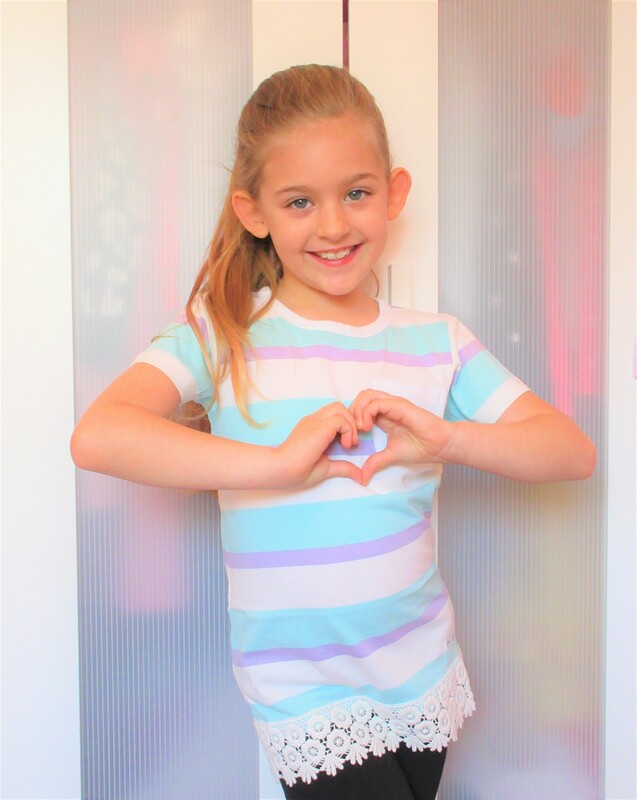 Eva received some cool clothing from Cherry Crumble last week to review along with Izzy’s cute clothing. Like Izzy, Eva was able to pick out two items of clothing she would like to try. Having a browse around Cherry Crumble’s site Eva liked quite a few items but she ended up picking a lovely top and sweatshirt! 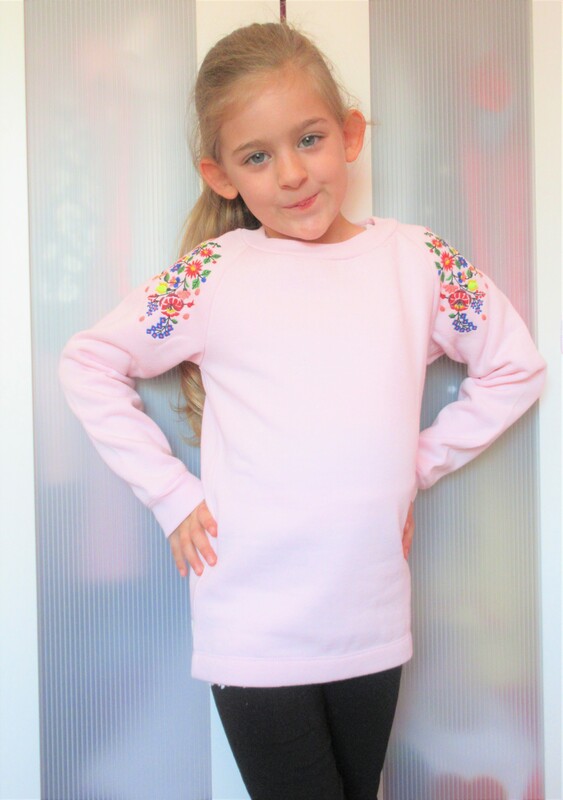 Cherry Crumble aims to convert kids worldwide into little fashionistas with cool clothing! Their designers are artists who love kids and clothing is made from the finest and smoothest fabrics. 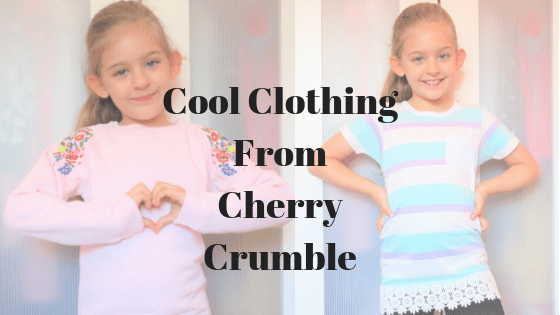 With comfortable, fashionable clothing, Cherry Crumble’s exquisitely crafted collection is becoming the first choice for parents. From shirts, tees, dresses, frocks, jeans, trousers and more, all their clothing embodies the true Californian spirit of the outdoors, fun and sunshine! The top Eva chose is a lovely lace hem pep top in lilac, turquoise and white. Eva is quite petite for 8 so we ordered 7-8 years which fit her nicely. The lace hem is really pretty and soft, I was expecting it to be rough but it really isn’t. Eva loves this top and refused to take it off after wearing it as she likes it so much. It’s soft, comfortable and looks great with so many different outfits. Stylish yet warm, this lovely sweatshirt is perfect with leggings or jeans! 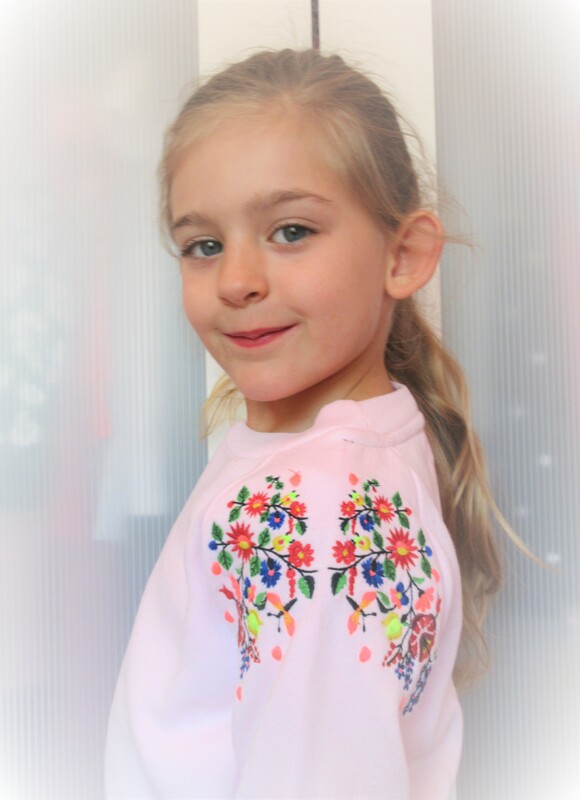 Eva really likes the soft pink with a bright burst of colour on the shoulders. Cherry Crumble has some cool clothing perfect for any wardrobe. Having reviewed 4 items in total we definitely think the quality is worth it.